Usually, your lunch break is your little slice of peace in the middle of the work day. There’s a secluded little patio right next to your office that is in just the right place to feel great despite the weather. It gives you a moment to get away from the noise of work and just breathe. Unfortunately, you’re not enjoying your lunch this particular day. Your gums feel sore and swollen, so every bite is a little uncomfortable. It seems to have come on all of a sudden, what happened? Gum disease is actually the most common disease in the U.S, affecting about 65 million people. This is more than heart disease or diabetes combined. It can easily start unnoticed and eventually turn into a serious infection. Your periodontist in Colorado Springs wants you to know the signs to look for, as well as how you can treat gum disease. Pockets and bumps along the gum line. These are all signs that your gums have become infected. Gum disease starts very subtly, but can eventually impact your mouth’s health dramatically. Gum disease is actually the leading cause of tooth loss in patients over 35. Of course, whenever you start showing signs of gum disease, it needs to be addressed quickly. 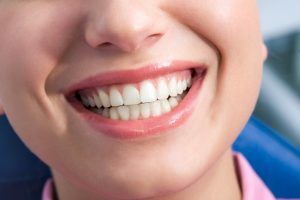 The team at Rocky Mountain Periodontal Specialists have various methods to provide you with effective gum disease therapy in Colorado Springs. One set of procedures involves a deep cleaning of your teeth along with gum line, known as scaling and root planing. Scaling uses specialized tools to help break up and clean off the built up bacteria and plaque that is irritating your gums. Afterwards, root planing involves smoothing your roots’ rough surfaces so that it less likely bacteria can accumulate there in the future. If your gum disease has become quite advanced, you may need a gum graft. This involves taking tissue, either your own or donated, from the roof of the mouth and applying it to the gum line where the tissue has been lost. Not only do gum grafts help protect you from further infections, they can also restore the natural look of your smile. The procedure can typically be done in one visit at our office, and recovery time is minimal. Ideally, you’d be able to prevent gum disease altogether, and this is accomplished primarily with routine brushing and flossing. Be sure to clean along and even below the gum line at home. This will help stop most gum disease before it can start. Gum disease has actually been linked to much more serious conditions like diabetes, cardiovascular issues, and even dementia. Dr. Lackler, Dr. Haradon, and their team are more than capable of treating your gum disease before it can progress to that point. If you have any questions about gum disease or what you can do to prevent it, please give us a call today.